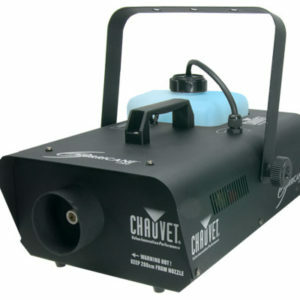 Gear4DJs presents the Hurricane 1300 fogger. 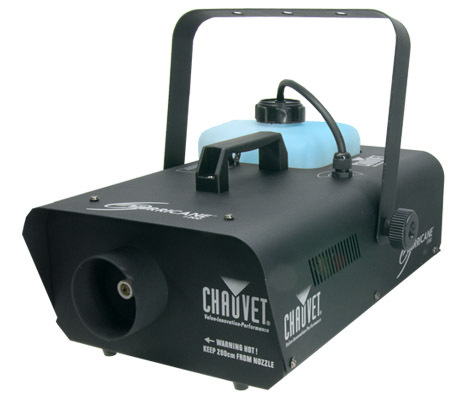 This 1300 Watt smoke machine combines high build quality with an impressive output. The 1300 comes supplied with a timer remote to manually set the duration, interval and level of smoke required. With a 3.3L tank and a 5 minuet warm up time, the 1300 gets up and running quickly and will last long into the night! 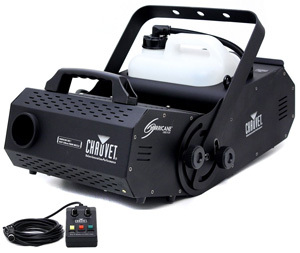 The Hurricane™ 1600 Flex offers DMX control with adjustable 180-degrees angles. A wired timer remote is a standard feature; a wireless remote is also available. 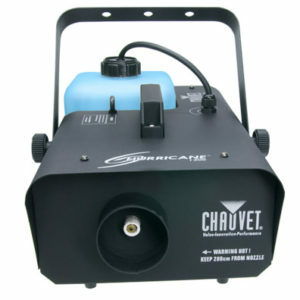 This water-based fogger also comes with a low fluid indicator and automatic shut down.